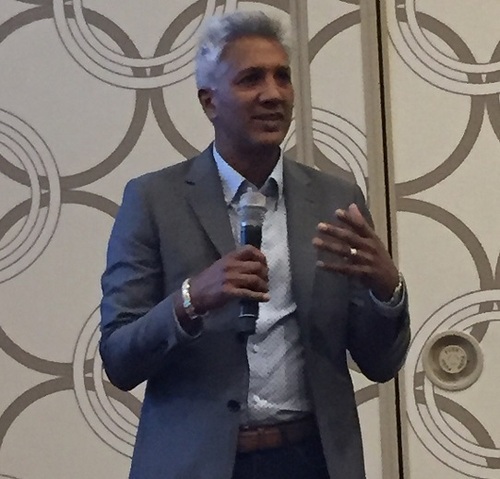 LOS ANGELES -- MEF18 -- MEF today kicked off its own annual conference with three announcements that its CTO says represent signs the organization is executing on its ambitious plan to set service standards for the industry that go well beyond Carrier Ethernet. "We have delivered on services, that is execution, not pie-in-the-sky," said MEF CTO Pascal Menezes, at a press conference here Monday. That includes progress on the IP and optical networking front and also now with software-defined wide area networking, he said. The draft specification for MEF's Sonata applications programming interface -- part of its Lifecycle Services Orchestration -- defines a key carrier-to-carrier interface for commercial execution of end-to-end services and is now at a stage where developers can download the software development kit and start delivering on APIs right away. The new Executive Advisory Council will bring the voice of key end users into the conversation -- Gert Vanderstraeten, network architect for Microsoft Corp. (Nasdaq: MSFT)'s IT Network Infrastructure Services was on hand to tout the need for enterprises to be able to better track network services across carriers and also the growing demand at companies like his for over-the-top services such as SD-WAN. One aspect of the EAC involvement will be in helping define MEF's LSO Cantata interface between the carrier and the user, Menezes said, to better enable the full automation of services across the network and the premises. The release of Sonata API technical specifications and software developer kits in a developer release builds on work done earlier in proofs of concept by AT&T Inc. (NYSE: T), Orange (NYSE: FTE) and Colt Technology Services Group Ltd to define four key aspects of support for business-to-business interactions between carriers. 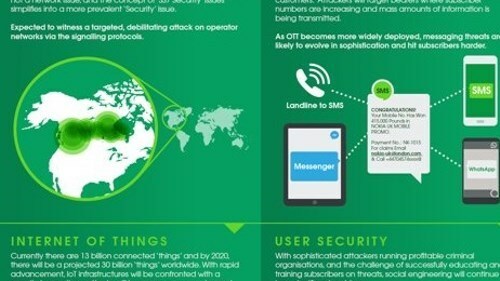 Those interactions are key to letting network operators quickly contract with each other to deliver services end-to-end anywhere in the world, which is one of their key priorities, Menezes said. The technical specs and SDKs released today address serviceability (whether services are available), product inventory, quoting and ordering APIs, with work to come on trouble ticketing, contracts and billing. The intent is for production deployment, initially of Carrier Ethernet, beginning in early 2019. "We are releasing it to developers now so they can start working on it and tell us if we have this right," Menezes said. Based on that feedback, MEF intends to finalize the specs in the first quarter of 2019. It is also working with both the TM Forum and Open Network Automation Platform (ONAP) to broaden Sonata's reach beyond Carrier Ethernet to a much broader range of services, he noted. MEF is also moving to pilot cloud-based testing of LSO APIs, beginning with the four Sonata APIs released here this week to let service providers test their ability to deliver wholesale services and let billing support service companies test and certify the LSO Sonata APIs as well. Menezes promised his Wednesday keynote address will provide more information on progress across the LSO landscape including other key interfaces. MEF waded into the SD-WAN interoperability tangle as part of its MEF 3.0 Global Services Framework, promising to bring some order to a space where every vendor was defining its product and services a bit differently. 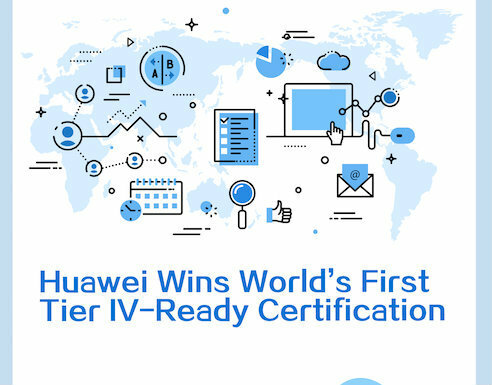 It is now touting an industry-first SD-WAN service specification that has broad support from the vendor community, including Viptela (Cisco), Versa (VMware), VeloCloud, Silver Peak, Nuage (Nokia) and more. 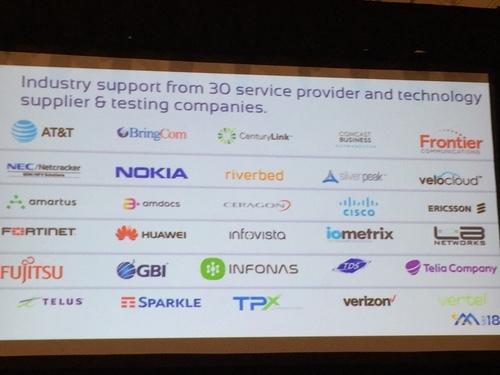 The 30 companies backing MEF's SD-WAN standards. The spec includes interim SD-WAN terminology that defines key elements including an SD-WAN user network interface (UNI), SD-WAN Edge, SD-WAN Service and Underlay Network, but within its 66 pages, the draft specification also gets into "very deep performance objectives," Menezes promised. "It describes the language, the construct, the architectural framework; it describes how application performance can be measured and policy applied to application performances and applied to application performance as group," he said. That includes looking at SD-WAN from the LSO perspective, with the APIs needed to look at the network underlay as well as the overlaid SD-WAN service and correlation of the two, he added. Without that holistic approach, the kind of automation service providers are seeking for their managed SD-WAN services would be impossible. This is also a draft technical specification released publicly for feedback, Menezes said, but one he believes already has strong support. He pointed to a Vertical Systems Group survey, which showed managed SD-WANs are a top priority for orchestration for 62% of carriers surveyed. The intent is to finalize the spec in early 2019. Roman Pacewicz, chief product officer for AT&T Business Services and a MEF board member, said one reason standards like this are important is that his customers are looking for SD-WAN that is part of a broader virtualized services approach that can take advantage of constant improvements in the technology as well as other services such as security and not just an SD-WAN standalone service. "We need to be able to snap SD-WAN in really quickly, potentially extend it, maybe bring another SD-WAN engine, and the standards being defined here will enable us to more efficiently provide a varied service depending on what the market needs," he commented. 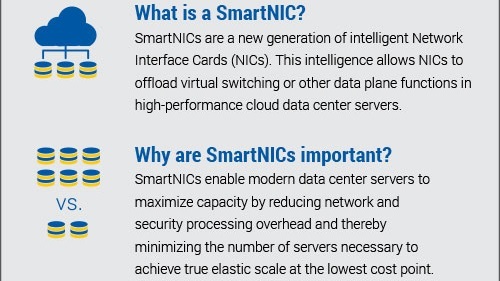 In addition, because SD-WAN gets network operators into the business of routing flows, not just packets, and being application aware, the network service is also connecting into the IT infrastructure and that's harder to do without some sort of standard, Pacewicz said. The EAC is launching with nine members from eight companies: Bloomberg, DHL, Intuit, Microsoft, PwC, Royal Bank of Canada Capital Markets, Refinitiv and Ubisoft. Microsoft's Vanderstraeten said large enterprises need connections delivered quickly at the right price but also with features such as dynamic bandwidth and quality of service, which is why they are interested in things such as the MEF 3.0 work. "We want to follow the flow end-to-end through multiple service providers and multiple clouds," he said. "We want to understand what is happening." That need for both visibility and orchestration drives interest in multi-carrier standards, to enable automation of those processes, he said. He also envisioned a very different connectivity world ahead, saying that every enterprise is looking at adding Internet connections as their primary connectivity for "certain types of offices," which in Microsoft's case is about 400 of its 575 global facilities. The initial 25-site pilot for that kind of connectivity has gone better than expected, Vanderstraeten said, and could speed up the transition.